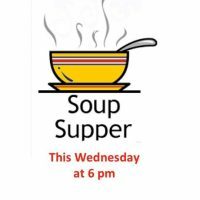 We’ll gather at 6 pm to enjoy some soups, salads and desserts. And then at 6:30, we’ll continue watching and discussing a movie about Matthew’s gospel. We had a great discussion last week, and it’s never too late to jump in!